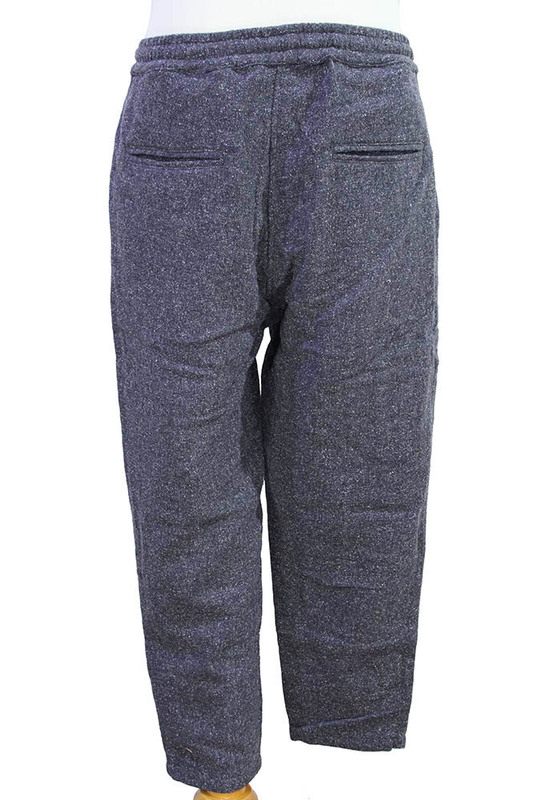 The Lost Explorer 'Tamarin' Two Faced Cotton Pant in Navy Blue melange, made in USA. Elasticated waist with fabric drawstring. 2 patch pockets with angled entry. 2 pockets at the rear. Tapering leg. This trouser is a great shape and look fantastic on, highly recommended. 32 inch - Small, 34 inch - Medium, 36 inch - Large, 38 inch - XLarge.